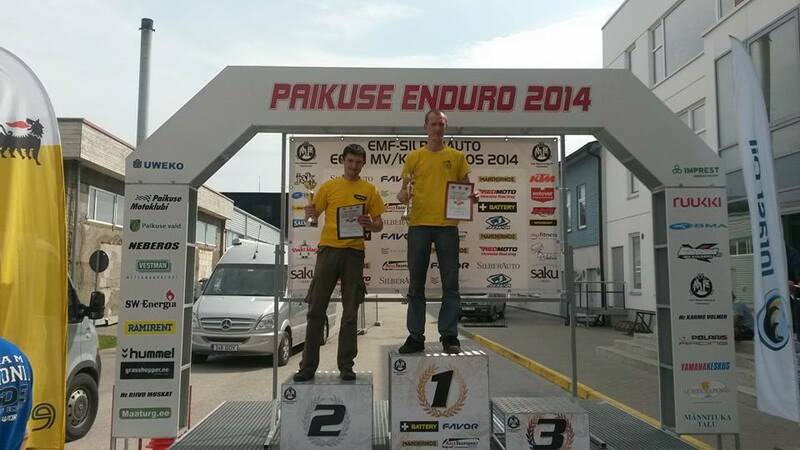 Congratulations for our Lubrita Enduro Team driver Mr. Jurgis. The first round of the Lithuanian and Baltic Enduro Championship was held last weekend in the sandy and muddy track of Paikuse in Estonia. About 70 moto riders from Lithuania, Latvia, Estonia, Russia and Finland where participated in this competition. After two days of hard drive our Lubrita Team enduro race driver Mr. Jurgis Dzvonkas in E2 class was in 2 place in Lithuanian Enduro championship first round, and 12 in Baltic Enduro Championship over all. Next stage is scheduled on the 12th and 13th of July in Lithuania. Best wishes and good luck from Lubrita supporting team and office collegues! Lubrita Moto 2T and Lubrita Moto 4T motocycles oils for high level of performance and motocycles engines protection!